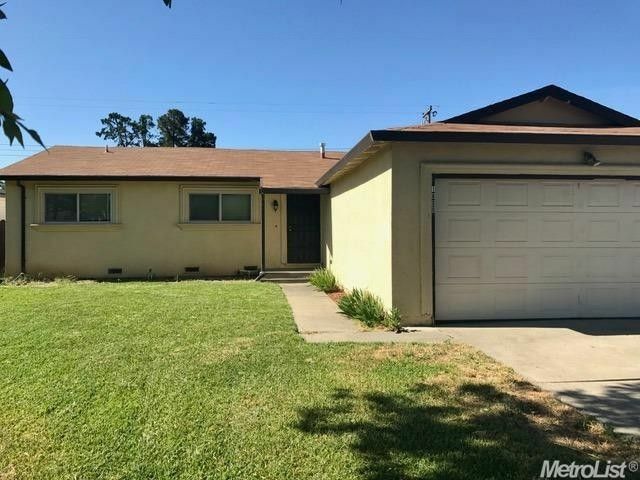 Spacious Single Story Home: Open Floor Plan with 3 Bedrooms, 2 Baths, 1232 sqft, on 6534 sqft lot, Granite Counter-tops in Kitchen & Bathrooms, Tile floor in Kitchen & Baths. Plush Carpets in Living & Bedrooms. 2 Car Garage, Laundry in Garage. Central Heat & Air, Dual Pane Windows, Fence Front and Back Yard, Large Patio area. Big Backyard for Entertaining and BBQs. Close to Schools, Shopping Centers and Easy Access to Downtown & Elk Grove area. Won't Last! Directions: Off I-5 north bound Freeway to Pocket Rd/Meadowview to Right on Amherst St to Left on Belt to address on right side. 1600 Belt Way.